I've been dying sick the past week from a stupid cold which I can't seem to shift no matter what I try so I thought a nice warm, relaxing bath was in order using one of the 76 LUSH products I got for Christmas (yes you did read that right, 76, what was I thinking! ), my first choice being the Twilight Bath Bomb which came as part of my Think Pink gift box. This is such a pretty bath bomb adorned with stars and a moon so I thought it would be perfect for helping me drift off to a peaceful (and hopefully being able to breathe properly) sleep - the appearance of it seemed promising for this to happen at least! Twilight is scented with lavender and ylang ylang oils, perfect for giving a relaxing bath and calming the body - just what I needed. The smell off this bath bomb was gorgeous, so powdery and the 'classic' LUSH smell as I put it. It actually smells like the LUSH shop itself as you walk in and you're hit by the mixture of gorgeous scents so this was a real winner with me. When Twilight hits the water it starts fizzing immediately, turning the water pink and revealing the gorgeous blue core. The blue and the pink then start mixing together and forming lovely fluffy bubbles as they do. The water begins to settle and the bubbles start to lose their air, I was sad to see this happening as I love a good, bubble-filled bath. Once the water has settled you're left with a light lilac/grey coloured water and not many bubbles. I was so sad to see this and although this colour does suit the Twilight name better it doesn't look very appealing does it? However, once I got into the bath I noticed shimmer floating throughout the water which really reminded me of a starry sky, perfect for the Twilight name and look of the bath bomb with it's stars and moon design. I had such a relaxing bath with Twilight and the lavender oils really worked their magic as I fell straight asleep after my bath, it was Heaven! I would highly recommend Twilight to anyone who is having trouble sleeping as it really does calm the body and make you fall into a peaceful sleep easily. 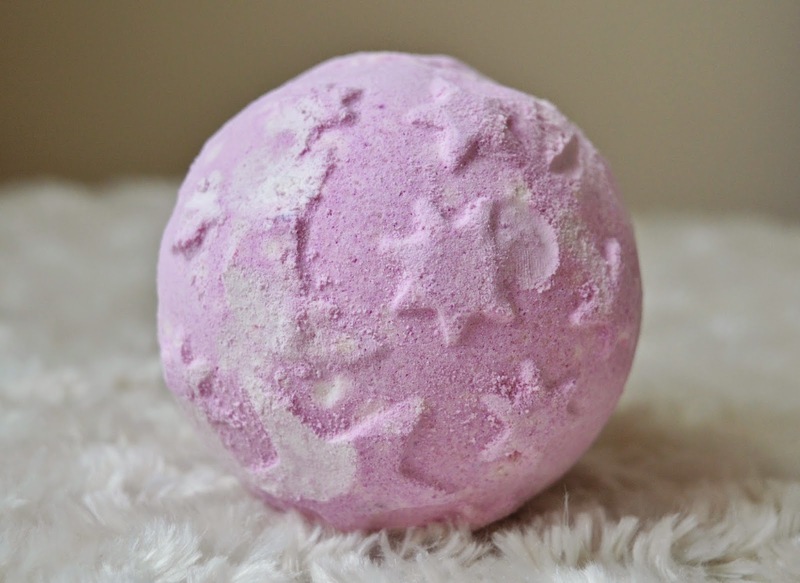 Although Twilight doesn't have all the bells and whistles that other LUSH products have (and which I love by the way) it is a really pretty bath bomb and does what it's supposed to by giving a relaxing, enjoyable bath and leaving skin feeling lovely. You can purchase Twilight on the LUSH UK website for £3.35. I've purchased from the UK site over Christmas and they deliver really quickly so I highly recommend doing that if you've no LUSH store near you. 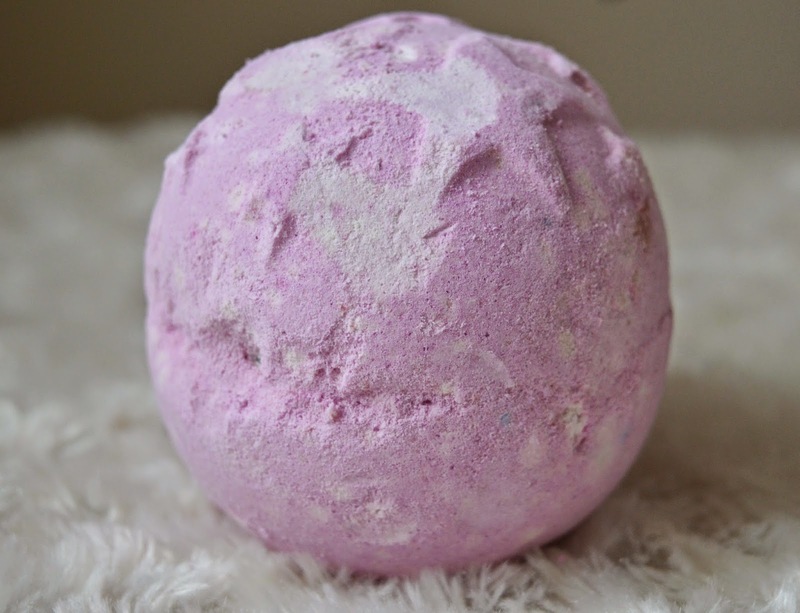 Have you tried the Twilight Bath Bomb? Love the images! OOH love the lil blue surprise you get in the bath bomb! Thought it would of been just pink <3 Love the sound of this even though it didn't produce enough bubbles. Thank you Zara! The blue core is gorgeous, really wish the blue and pink would have stayed in the water. Lush bath bombs are my jam! Twilight sounds seriously amazing. I am all about lavender. They're my jam too, can't get enough of them. Twilight is fab!